This week I have decided to do something quite different. I have seen a lot of other consultants doing these pennant frames and thought I would give it a go myself. 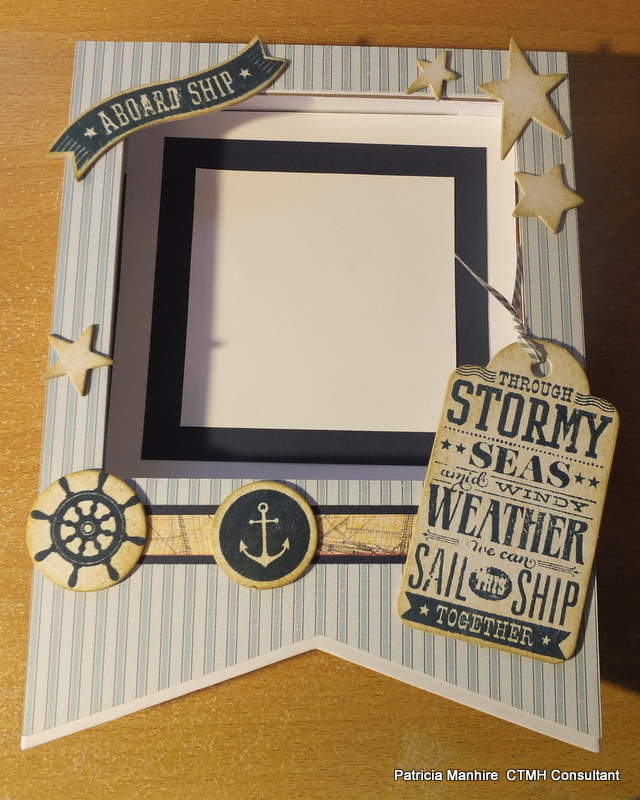 Close to My Heart do not just cater for card making and scrapbooking but they also provide a range of great products to decorate and add to your home decor. I have also entered this project in the Heart2Heart Cricut Challenge. This is the pennant frame and I have cut out the paper from the Ariana paper pack using my Artbooking Cricut cartridge. 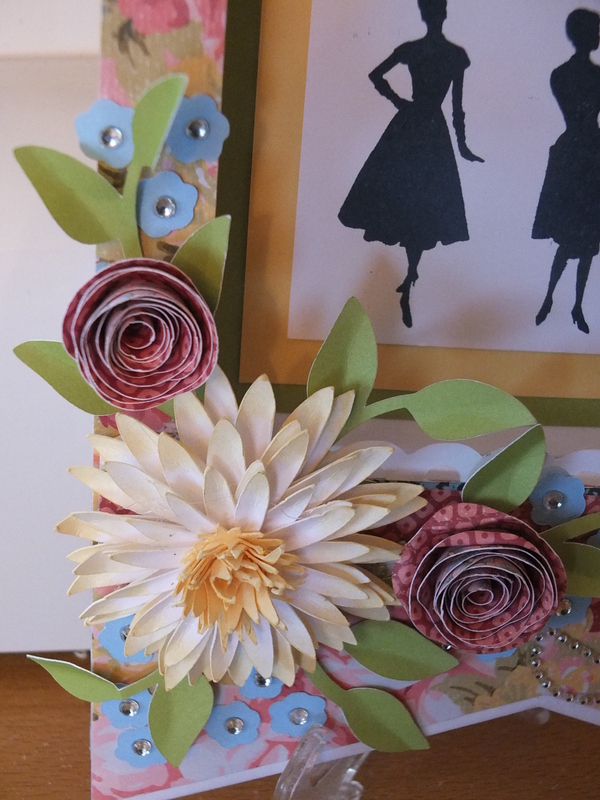 I have made the daisy flower from the Art Philosophy and Artiste cartridges following Cathy Derouche’s instructions on YouTube. For my version of the daisy I have started with White Daisy cardstock and sponged the edges with Buttercup ink and the centre has been completely sponged with Buttercup ink to give a softer effect than using Buttercup cardstock. 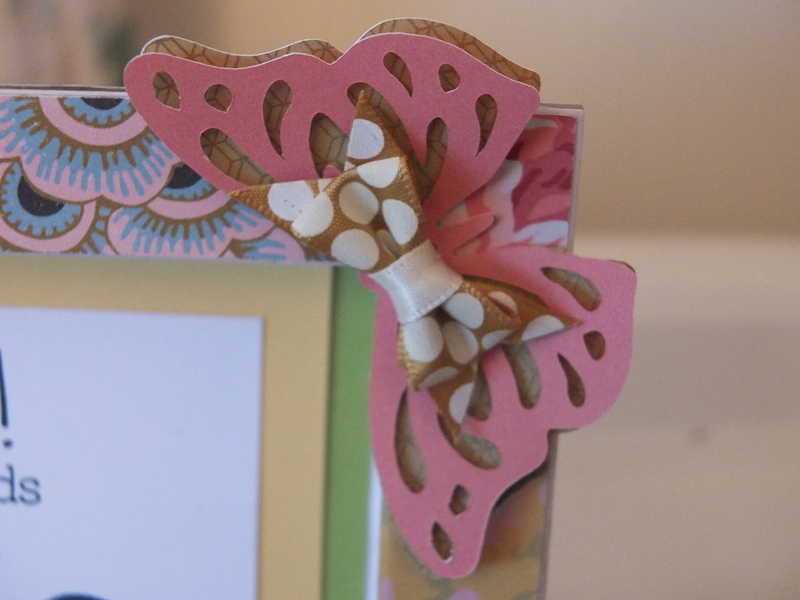 The butterfly is from the Artbooking cartridge and the scalloped edging is from the Art Philosophy cartridge. As it is Mother’s Day coming up next month I thought that it would be nice to turn this into a silhouette picture and use the fabulous Mother’s Day stamp set and make a lovely gift for a child to give to their mother. 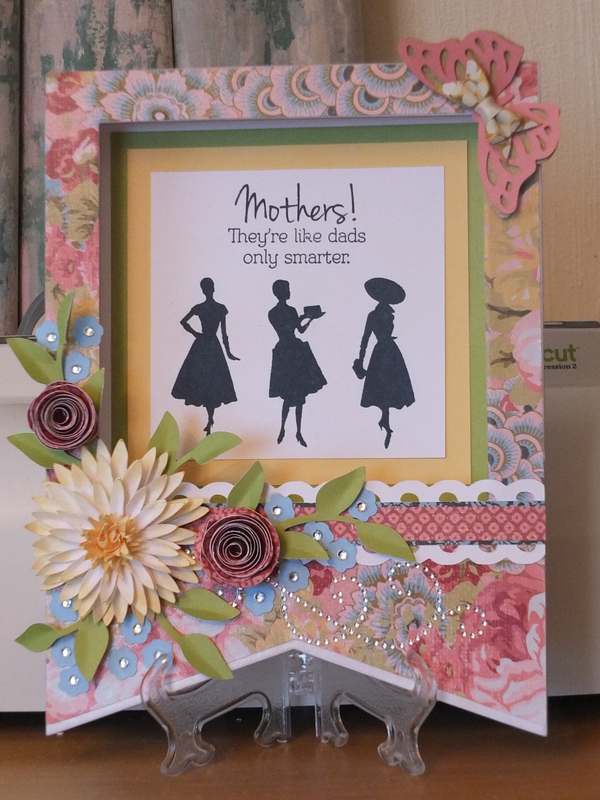 Of course I had to add some bling to this very feminine frame. I have used the Sparkles Flourish and the clear Sparkles to add some shine. For something completely different I have created a masculine looking pennant frame for someone to put their own photo in it. The feedback that I have been getting from the public is that there is not enough out there for the men and boys in our life. So I have done a simple blue pennant with a nautical theme. My son is mad on boats and I probably had him in mind when I made this, and the Ariana blue stripe does have a masculine, nautical feel to it. I have used the dimensional elements that came with the Tommy WOTG (now retired) and Cricut cartridget sets and distressed them with Desert Sand ink before inking the sentiments and shapes with Outdoor Denim. 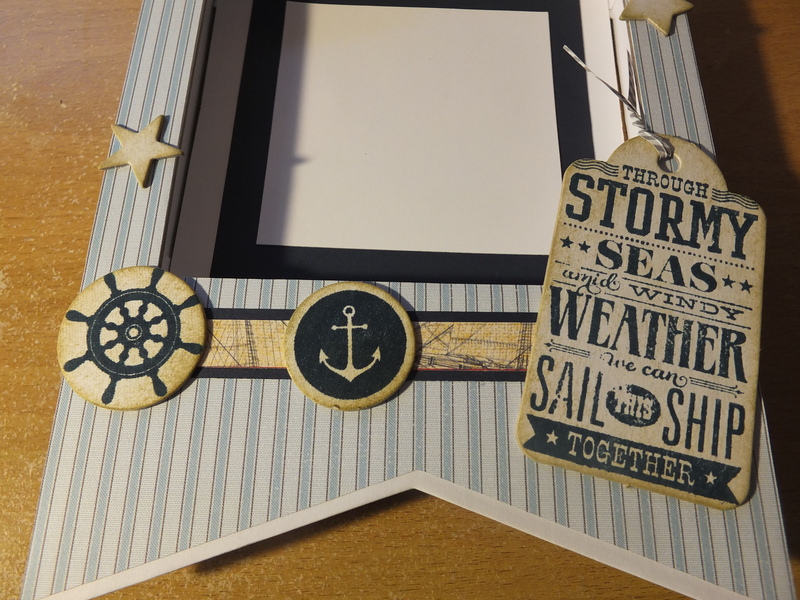 I have used the now retired Tommy WOTG stamp set as well as the Sail Away stamp set which is still available. 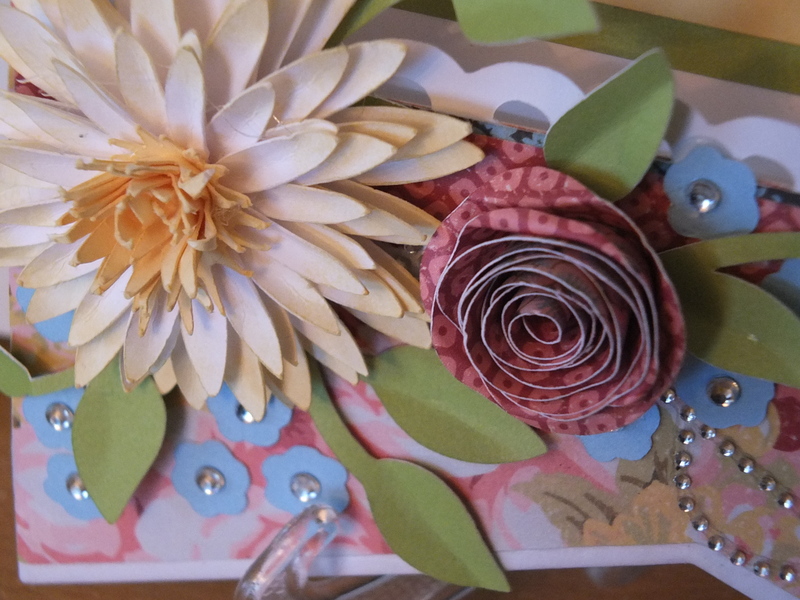 I have used the zip strip from the Tommy paper packet (also retired) which blended in well with the distressed embellishments. As you can see I have used papers from the Ariana paper packet and created two very different pennants which shows how versatile this pack is. I think it is my favourite out of all the new papers. I am really impressed at how far one paper packet has gone. Apart from using a couple of extra base sheets for an extra double layout I have done 3 double layouts, two pennant frames and at least 10 cards with the one pack. This is really great value at NZ$17. For more information about the 3D and decor products from CTMH click here. There is lots of different products for all your creative needs. I hope everyone has a great Easter.